What is low blood pressure? What do the numbers mean (chart with ranges)? What is the treatment for low blood pressure? Low blood pressure, also called hypotension, is blood pressure low enough that the flow of blood to the organs of the body is inadequate and symptoms and/or signs of low blood flow develop. Low pressure alone, without symptoms or signs, usually is not unhealthy. The symptoms of low blood pressure include lightheadedness, dizziness, and fainting. These symptoms are most prominent when individuals go from the lying or sitting position to the standing position (orthostatic hypotension). Low blood pressure that causes an inadequate flow of blood to the body's organs can cause strokes, heart attacks, and kidney failure. The most severe form is shock. Common causes of low blood pressure include a reduced volume of blood, heart disease, and medications. The cause of low blood pressure can be determined with blood tests, radiologic studies, and cardiac testing to look for heart failure and arrhythmias. Treatment of low blood pressure is determined by the cause of the low pressure. An individual's blood pressure is expressed as systolic/diastolic blood pressure, for example, 120/80. 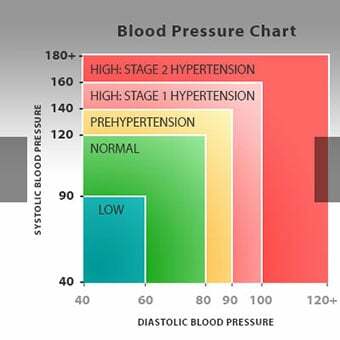 The systolic blood pressure (the top number) represents the pressure in the arteries as the muscle of the heart contracts and pumps blood into them. The diastolic blood pressure (the bottom number) represents the pressure in the arteries as the muscle of the heart relaxes following its contraction. Blood pressure always is higher when the heart is pumping (squeezing) than when it is relaxing. During pregnancy, blood pressure tends to decrease. Normal blood pressure during pregnancy may be lower than 100/60. Your OB/GYN or Midwife should monitor your bood pressure if you are pregnant. Blood pressure is determined by two factors: 1) The amount of blood pumped by the left ventricle of the heart into the arteries, and 2) the resistance to the flow of blood caused by the walls of the arterioles (smaller arteries). Blood pressure tends to be lower if less blood is being pumped into the arteries or if the arterioles are larger and more flexible and, therefore, have less resistance to the flow of blood. The body has mechanisms to alter or maintain blood pressure and blood flow. There are sensors that detect blood pressure in the walls of the arteries and send signals to the heart, the arterioles, the veins, and the kidneys that cause them to make changes that lower or increase blood pressure. Several ways in which blood pressure can be adjusted by adjusting the amount of blood pumped by the heart into the arteries (cardiac output), the amount of blood contained in the veins, the arteriolar resistance, and the volume of blood. The heart can speed up and contract more frequently and it can eject more blood with each contraction (more forcefully). Both of these responses increase the flow of blood into the arteries and increase blood pressure. The arterioles can expand and narrow. Expanded arterioles create less resistance to the flow of blood and decrease blood pressure, while narrowed arterioles create more resistance and raise blood pressure. The heart rate increases and the forcefulness of the heart's contractions increase, pumping more blood through the heart. 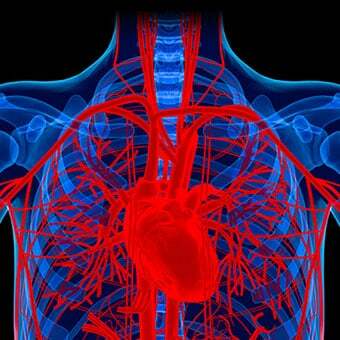 Veins narrow to return more blood to the heart for pumping. Blood flow to the kidneys decreases to reduce the formation of urine and thereby increases the volume of blood in the arteries and veins. Arterioles narrow to increase resistance to blood flow. These adaptive responses will keep the blood pressure in the normal range unless blood loss becomes so severe that the responses are overwhelmed. People who have lower blood pressures have a lower risk of stroke, kidney disease, and heart disease. Athletes, people who exercise regularly, people who maintain ideal body weight, and nonsmokers tend to have lower blood pressures. Low blood pressure is desirable as long as it is not low enough to cause symptoms and damage to the organs in the body. 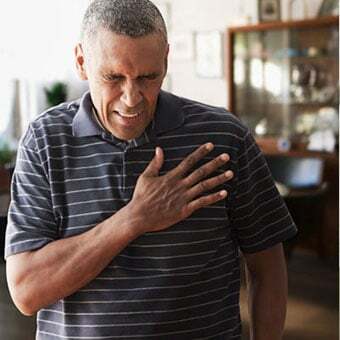 Heart disease: Chest pain (a symptom of angina) or even a heart attack may occur when there is insufficient blood pressure to deliver blood to the coronary arteries (the arteries that supply blood to the heart's muscle). Kidney disease: When insufficient blood is delivered to the kidneys, the kidneys fail to eliminate wastes from the body, for example, urea (BUN and creatinine), and increases in their levels in the blood occur. Shock is a life-threatening condition where persistently low blood pressure causes organs such as kidney, liver, heart, lung, and brain to fail rapidly. Conditions that reduce the volume of blood or that reduce cardiac output (the amount of blood pumped by the heart) and medications are frequent reasons for low blood pressure. Dehydration is common among patients with prolonged nausea, vomiting, diarrhea, or excessive exercise, which shunts blood away from the organs to the muscles. Large amounts of water are lost when vomiting and with diarrhea, especially if the person does not drink adequate amounts of fluid to replace the depleted water. Severe inflammation of organs inside the body such as acute pancreatitis can cause low blood pressure. In acute pancreatitis, fluid leaves the blood vessels to enter the inflamed tissues around the pancreas as well as the abdominal cavity, concentrating blood and reducing its volume. Pericarditis is an inflammation of the pericardium (the sac surrounding the heart). Pericarditis can cause fluid to accumulate within the pericardium and compress the heart, restricting the ability of the heart to expand, fill, and pump blood. Several common reasons for bradycardia include: 1) sick sinus syndrome, 2) heart block, and 3) drug toxicity. Many of these conditions occur in the elderly. Sick sinus syndrome: Sick sinus syndrome occurs when the diseased electrical system of the heart cannot generate electrical signals fast enough to maintain a normal heart rate. Drug toxicity: Drugs such as digoxin (Lanoxin) or beta blockers for high blood pressure can slow the transmission of electricity in the heart chemically and can cause bradycardia and hypotension (see section "Medications that cause low blood pressure"). Medications used in treating high blood pressure (such as angiotensin converting enzyme or ACE inhibitors, angiotensin receptor blockers, beta blockers, calcium channel blockers, and alpha blockers) can excessively lower blood pressure and result in symptomatic low blood pressure especially among the elderly. 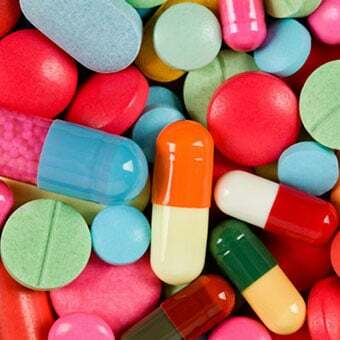 Water pills (diuretics) such as hydrochlorothiazide (HydroDIURIL) and furosemide (Lasix) can decrease blood volume by causing excessive urination. 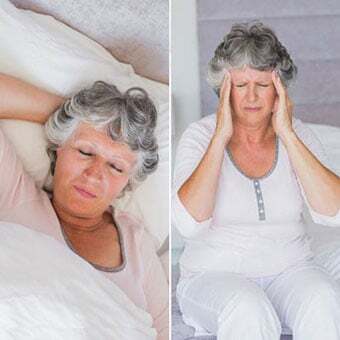 Medications used for treating depression, such as amitriptyline (Elavil); Parkinson's disease, such as levodopa-carbidopa (Sinemet); and erectile dysfunction (impotence), such as sildenafil (Viagra), vardenafil (Levitra), and tadalafil (Cialis) when used in combination with nitroglycerin, can cause low blood pressure. Alcohol and narcotics also can cause low blood pressure. Micturition syncope is a temporary drop in blood pressure and loss of consciousness brought about by urinating. This condition typically occurs in elderly patients and may be due to the release of hormones that lower blood pressure. In some people, particularly relatively healthy ones, symptoms of weakness, dizziness, and fainting raise the suspicion of low blood pressure. In others, an event often associated with low blood pressure, for example a heart attack, has occurred to cause the symptoms. CBC (complete blood count) may reveal anemia from blood loss or elevated white blood cells due to infection. Cortisol levels can be measured to diagnose adrenal insufficiency and Addison's disease. Blood and urine cultures can be performed to diagnose septicemia and bladder infections, respectively. Radiology studies, such as chest X-rays, abdominal ultrasounds, and computerized tomography (CT or CAT) scans may detect pneumonia, heart failure, gallstones, pancreatitis, and diverticulitis. Electrocardiograms (EKG) can detect abnormally slow or rapid heartbeats, pericarditis, and heart muscle damage from either previous heart attacks or a reduced supply of blood to the heart muscle that has not yet caused a heart attack. Echocardiograms are examinations of the structures and motion of the heart using ultrasound. Echocardiograms can detect pericardial fluid due to pericarditis, the extent of heart muscle damage from heart attacks, diseases of the heart valves, and rare tumors of the heart. Dehydration is treated with fluids and minerals (electrolytes). Mild dehydration without nausea and vomiting can be treated with oral fluids and electrolytes. Moderate to severe dehydration usually is treated in a hospital or emergency room with intravenous fluids and electrolytes. 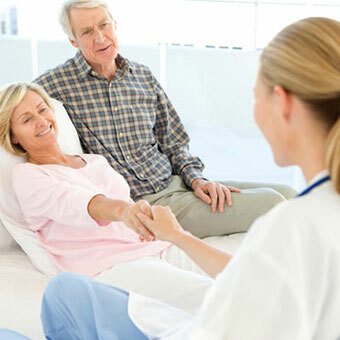 Blood loss can be treated by treating the cause of the bleeding, and with intravenous fluids and blood transfusions. Continuous and severe bleeding needs to be treated immediately. Septic shock is a medical emergency and is treated with intravenous fluids and antibiotics. Bradycardia may be due to a medication. The doctor may reduce, change, or stop the medication. Bradycardia due to sick sinus syndrome or heart block is treated with an implantable pacemaker. Tachycardia is treated depending on the nature of the tachycardia. Atrial fibrillation can be treated with oral medications, electrical cardioversion, or a catheterization procedure called pulmonary vein isolation. Ventricular tachycardia can be controlled with medications or with an implantable defibrillator. Pulmonary embolism and deep vein thrombosis is treated with blood thinners, initially with types of heparin. Later, oral warfarin (Coumadin) or other oral medications are substituted for heparin. Pericardial fluid from pericarditis can be removed by a procedure called pericardiocentesis. Postprandial hypotension refers to low blood pressure occurring after meals. Ibuprofen (Motrin) or indomethacin (Indocin) may be beneficial. Natural remedies have not been proven. Some herbs reported to raise blood pressure include ginger, rosemary, aniseed, cinnamon, and pepper. Do not take any herbs without first consulting your doctor. *Note: Increasing salt intake can lead to heart failure in patients with existing heart disease and should not be undertaken without consulting a doctor. Cupp, Melanie Johns. "Herbal remedies: adverse effects and drug interactions." American Family Physician 59.5 (1999): 1239-1244. Goldstein, D.S. and Y. Sharabi. "eurogenic orthostatic hypotension: a pathophysiological approach." Circulation. 119.1 (2009): 139-146. "Low Blood Pressure - When Blood Pressure Is Too Low." American Heart Association. Reviewed: Oct 31, 2016.